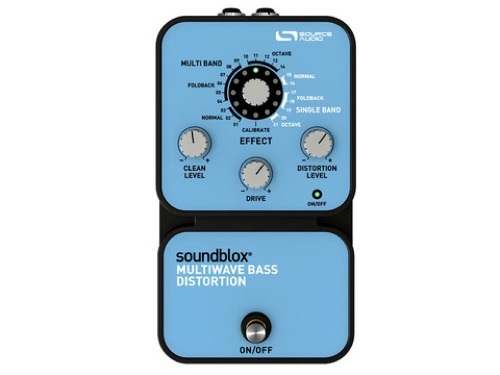 The Soundblox Multiwave Bass Distortion features the same multi-band process that made the original Multiwave guitar pedal so popular, but this time, the Source Audio engineers adapted the process to compliment the unique frequency range of the bass guitar. Multi-band processing divides a signal into multiple bands then distorts them individually, giving musicians unprecedented levels of sound clarity and note articulation. Bassists can effectively combine complex chords and intervals with distorted tones—the Multiwave eliminates the mush and allows each note to ring clear and true. 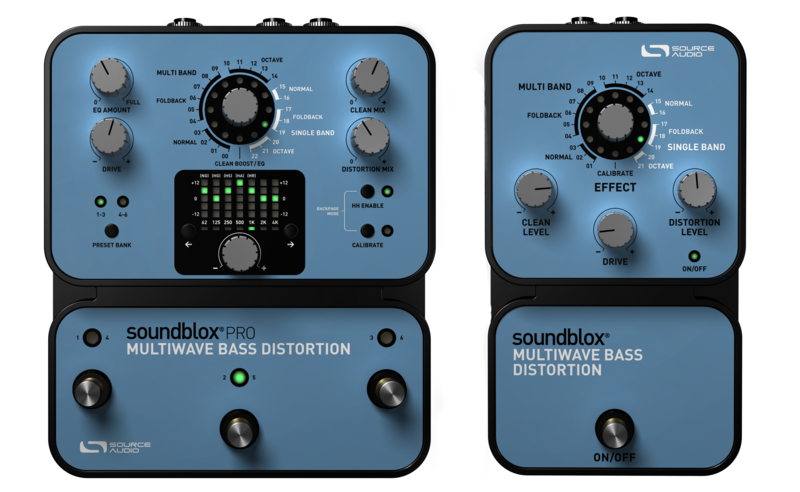 Users have access to 23 distinct and modern sounding distortions that go far beyond traditional sounds. They range from “normal”, for a somewhat traditional distortion curve, to extreme “foldback” and “octave” settings for more aggressive and synth-like tones. Each distortion type is further customizable via the drive control, and separate clean and distorted level knobs. 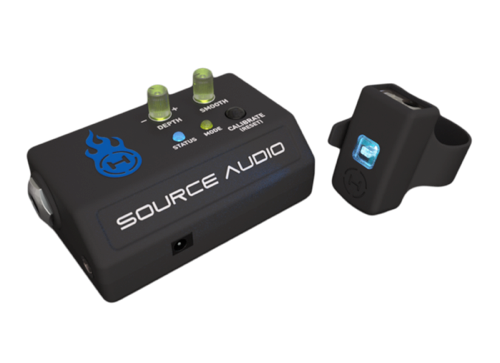 This advanced sound control alleviates the tendency for low-end reduction associated with most bass distortion units. The Multiwave Bass is also compatible with the Hot Hand® motion controller, adding even more expressive possibilities. •Diverse sound palette — featuring 21 varieties of our distortion algorithm. •Multiband processing — signal is split into multiple bands and distorted individually for unprecedented sound clarity. •Modern design — A thoughtfully designed box which features rugged construction and sleek looks. •State-of-the-art DSP — Our proprietary 56-bit Digital Signal Processor, the SA601, and crystal clear 24-bit converters. 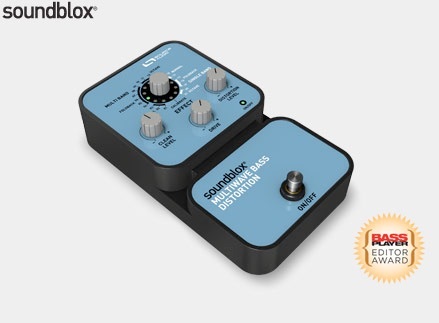 •Motion Control — all Soundblox pedals are ‘Hot Hand Ready’ and can be used with any Hot Hand motion sensor to extend the capabilities of the unit. •Active Analog Bypass — bypass is fully routed around the DSP and active input ensures zero signal degradation. 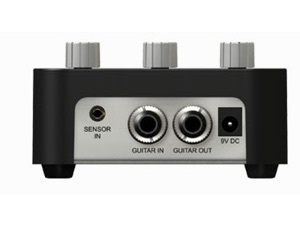 •Dimensions: 7 in./17.8cm (length not including I/O jacks) x 4 in./10.2cm (width) x 2 in./5cm (height, including knobs). •9v Power supply not included.